Tara Hall receives less than 1/2% of its annual funds from federal funding. Note: Tara Hall’s fiscal year runs from October 1st through September 30th and these figures are from 2012-2013. FINANCIAL SUPPORT BECOMES MORE AND MORE DIFFICULT TO SECURE WITH EVERY PASSING YEAR. 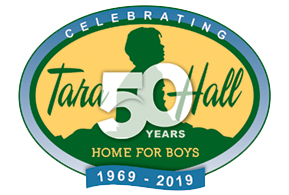 In order to maximize the amount of time and money allotted to directly helping children, Tara Hall continues to rely strictly on private foundations and the generosity of individuals and groups. a boy and his family. Tara Hall teaches boys from several South Carolina counties, but receives no compensation from those counties, nor does it benefit from any educational funds collected via county taxes. Georgetown County contributions are more than two and a half times the amount of the next highest contributor. Tara Hall cares for as many as 24 boys at a time. It takes many hands to raise the funds for just one year.